It seems like yesterday that the Golden State Warriors defeated the Cleveland Cavaliers for the 2014 NBA Championship. Thanks to time moving at a freakishly fast pace, the NBA regular season is right around the corner. But wait a sec Man Behind The Clouds! Isn’t it the start of training camp? Well, yeah it is but I don’t pay any mind to training camp or the preseason. 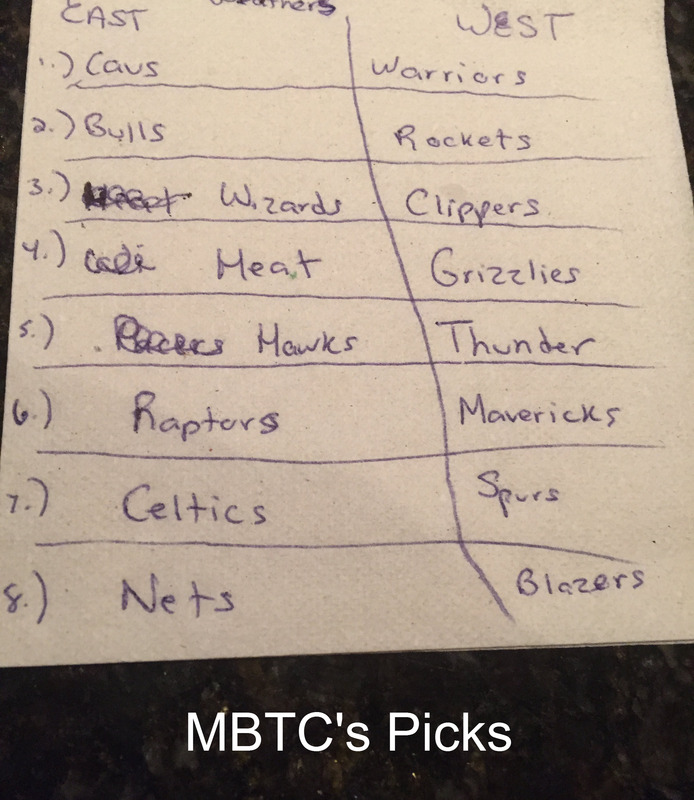 The only good thing about this time of year (besides football) is making NBA predictions. It was a Saturday. September 26th to be exact. The story takes place at a nearby drinking hole called Mulligans. It is here, where yours truly and my good friend DH debated over who was going to make the playoffs.Was that intro too much like an old detective story? Now, let me provide you a bit more background on the cast of characters involved. DH is a huge Orlando Magic fan and believes that they are going to be good every season. Even though I admire his loyalty, I always feel the need to bring him back to reality. As for me, I am a Boston Celtics fan. The Celtics have a winning legacy and their fans expect greatness each season. Despite a few rebuilding seasons we have fought our way into the playoffs. I would also like to mention that we may have consumed some Titos Vodka, a bucket of light beers, and wings throughout our debate! 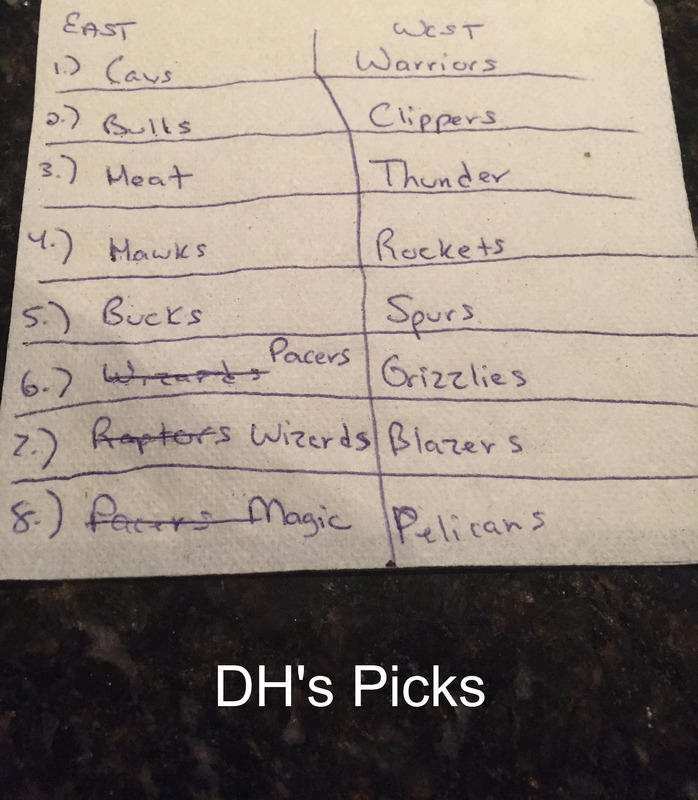 Alright let’s take a look at DH’s picks first. I think we have some very different NBA predictions here. Guess we will have to wait and see how things shake out this NBA season! If you are reading this DH, we need to finalize our wager! I am thinking that the loser buys the winner a mouthwatering burger from Mulligans and drinks! Do you consider yourself a NBA guru? The Man Behind The Clouds wants to hear your thoughts! Leave a comment with your analysis or even share your own predictions!